Join us for our Webinar events. 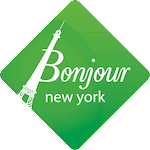 Join us for useful information and tips about our wonderful Bonjour NY camp. We will start with a camp presentation followed by Q&A. Please note that the registration ends at 6pm the day before the webinar.